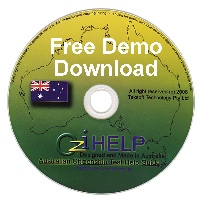 What’s in Ozihelp free Demo? Buy Ozihelp and start your Australian citizenship test preparation! It consists of full functionalities to the full version but limited with only 20 questions, which are based to the testable section in the latest official citizenship study booklet "Australian Citizenship - Our Common Bond" for the Australian Citizenship Test 2019. These 20 questions are also in the Ozihelp full version.